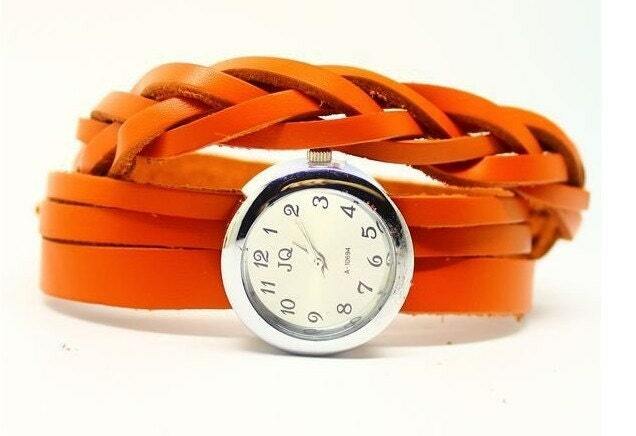 How cute is this orange wrap watch?! I could definitely rock this at a Clemson game and other times since orange has become such a popular pop of color. You can always count on me to love orange. If you are not the orange loving type (shame on you!) it also comes in red, black and white. It's from ForeverJewellery on etsy. May just have to put this on my Christmas wish list... hopefully the shortest adjustment would be small enough for my teeny tiny wrist.